Concerns about the internet and computer networks have been in the news again this month. One is a real fear of further cyber-attacks on the UK while the other is the government’s latest attempt to curb harms on individuals from social media. The latest warnings reflect the ongoing fear about forms of cybercrime and cyber harm, whether aimed at businesses or individuals. Apparently the leaders of the main utilities, transport and health services have already been warned by the British authorities that foreign hackers are infiltrating unprotected network systems in advance of a potentially more serious attack to follow. If all this seems far-fetched we only need to think back to a year ago when the notorious WannaCry ransomware cyber-attack struck the UK and beyond. It’s no surprise that many businesses have felt vulnerable since then. What action can small businesses take against cyberattacks? What would you do if an employee accidently opens an email disguised as an invoice from a recognisable supplier but which actually locks down your system and demands payment to get it working again? No business owners wants all their hard work to go down the drain – your databases, records of sales, deliveries, scheduling, contacts and other important information could all be compromised or held to ransom. 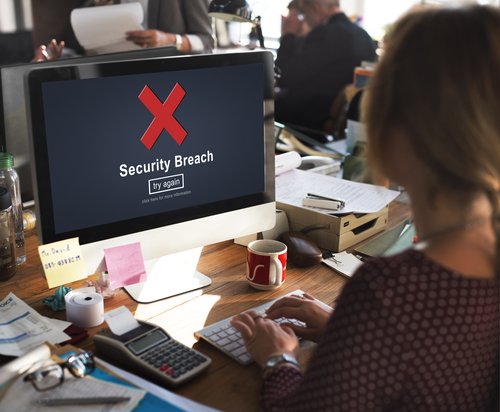 Sadly, there is a real risk of small businesses experiencing a cyber security breach. It is estimated that online fraud affects 1 in 4 small businesses and in 2017 SMEs experienced losses worth £18.9billion. √ arrange for an IT health-check from a professional firm who can advise you on the best precautions to take. If the worst does happen it’s important to report the cybercrime to the relevant authorities. In England, this means contacting Action Fraud , the UK’s national reporting centre for fraud and cybercrime, where you should report fraud if you have been scammed, defrauded or experienced cybercrime. Businesses also have responsibilities under the new General Data Protection Regulation ( GDPR ), in force from 25 May 2018, to report a breach of confidential data, whether for staff, customers or suppliers – failure to do so can result in fines from the Information Commissioner’s Office. While time, money and reputation can be the major costs to businesses of online woes, the government this month highlighted the online harms which can be caused by the internet to individuals. The government’s Internet Safety Strategy green paper has just set out the findings of its latest consultation on various aspects of online safety. It now intends to collaborate with businesses, charities and the public to propose new online safety laws in response to the findings. The new laws aims to tackle what the Culture Secretary, Matt Hancock, called the ”internet’s ‘Wild West’ culture”, admitting that self-policing had not worked. ● Productivity - the productivity of businesses can be seriously compromised if the wellbeing of workers themselves are affected by such issues. 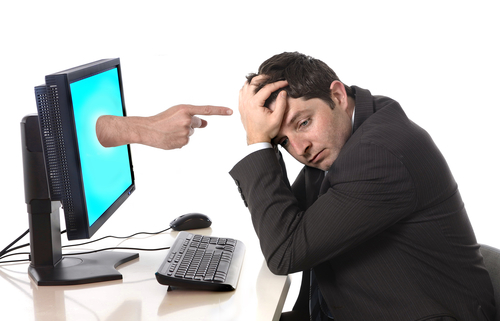 Employees suffering from online abuse and harassment can go on to suffer mental health issues which may result in under-performance and absences from work. ● Duty of Care - employers have a duty of care towards their employees and need to ensure they – and others in contact with the business - are not exposed to inappropriate or harmful content. Bosses may need to develop policies about in-work use of social media, gaming etc. The odd game of Candy Crush may not hurt anyone, but violent or socially-offence games are another matter. ● Reputational damage – a widely-reported case shows how inappropriate use of social media by staff can bring a company into disrepute. Here, an employee had shared with colleagues some choice facts and personal comments about a job candidate which they had looked up on social media. The email was mistakenly also sent to the candidate which is how it came to light. It led to the prospective employer, a Dorset-based food company, attracting the wrong kind of attention. An employment lawyer has said that claims for discrimination could be made if social media checks are not declared and applied equally. ● Internet company responsiveness - one in ten responses to the internet strategy consultation said that concerns they had put to social media companies had not been taken seriously. It does not bode well for all users when internet companies to do not respond positively to concerns. For these reasons, we think that the Internet Strategy should interest businesses, especially SMEs. 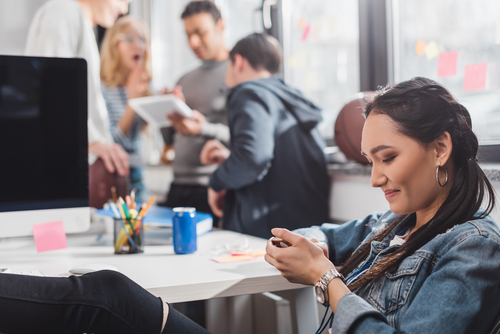 Larger firms may have the human resources to enforce their own codes of online behaviour, but smaller companies stand to benefit from the helping hand which the new laws offer. If you’re a small business who wants to make sure that its information and communication technology is on track, contact a professional IT service firm. At 360ict Ltd we advise on a wide range of IT-related concerns. We can also support your IT or help manage your IT services – whichever works best for you - leaving business-owners and their staff free to get on with business. If you require any further advice or information please do contact us on 0208 663 4000 or Contact Us .